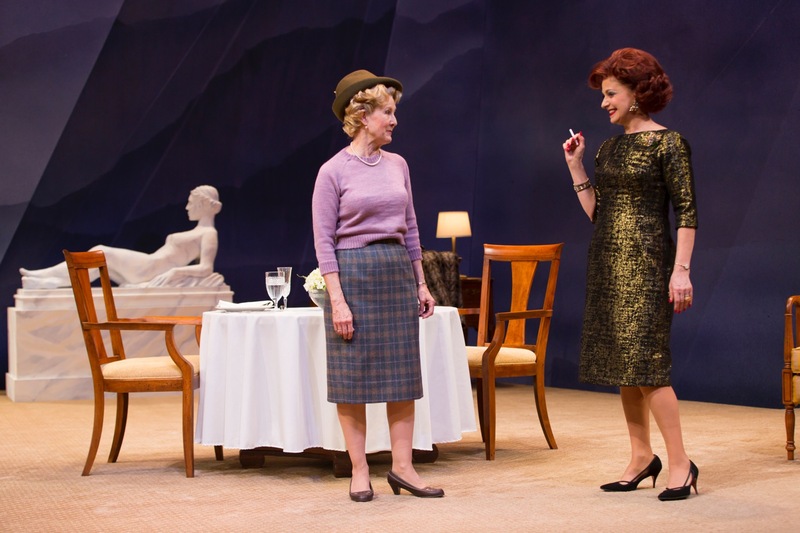 Gordana Rashovich, Mia Dillon and Brian Murray are currently appearing in Westport Country Playhouse’s 2014 Season opener, a revival of Noël Coward’s A Song at Twilight, directed by Playhouse artistic director Mark Lamos, April 29 – May 17, a co- production with Hartford Stage where it ran earlier this year. Celebrating its 84th season, Westport Country Playhouse was recently named Theater Company of the Year by The Wall Street Journal. 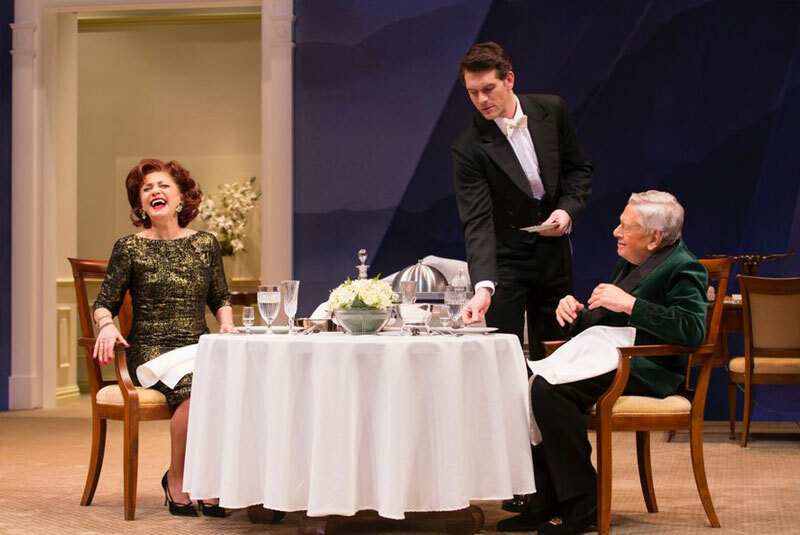 Yale School of Drama graduate Nicholas Carriere is also featured in Coward’s poignant comedy. A Song at Twilight is an exquisite battle of wits, exploring the nature of passion, the cruelty of love, and the price of hidden secrets. In his long career, Sir Hugo Latymer (played by Brian Murray) has achieved more than most writers even dream of—money, fame, and a reputation beyond reproach. 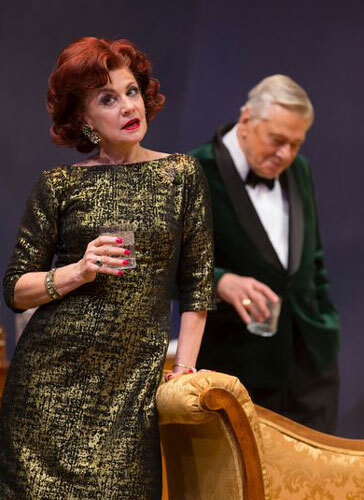 But his carefully constructed ivory tower is imperiled when a long-ago love (Gordana Rashovich in the role of Carlotta Gray) threatens to shed a very public light into the most scandalous corner of his private past, a revelation that could bring it all tumbling down. The play is appropriate for ages 16 and up. Running time is approximately 90 minutes. Director Mark Lamos has directed many plays at Westport Country Playhouse since 2008, winning the 2013 Connecticut Critics Circle Award for his direction of The Dining Room last season. His extensive New York credits include Our Country’s Good, for which he received a Tony Award nomination. A former artistic director at Hartford Stage, he received the 1989 Tony Award for the theater’s body of work. He was awarded the Connecticut Medal for the Arts as well as honorary doctorates from Connecticut College, University of Hartford, and Trinity College. Playwright Noël Coward (1899 – 1973) was a dramatist, actor, writer, composer, lyricist, painter, and wit. He wrote 60 produced plays and musicals (Hay Fever, Private Lives, Design for Living, Blithe Spirit, Present Laughter, The Girl Who Came to Supper), and over 300 popular songs (“I’ll See You Again,” “Mad Dogs and Englishmen”). 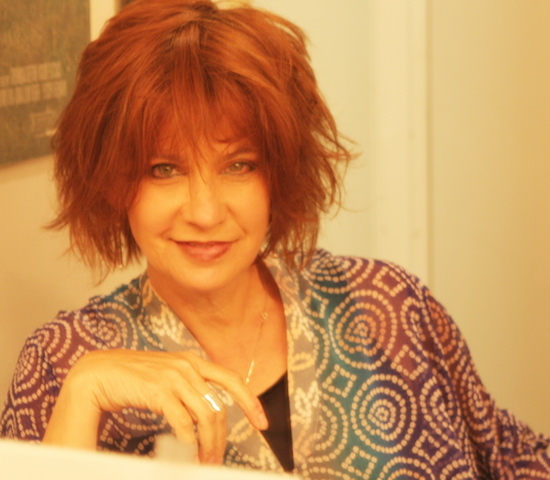 Gordana Rashovich’s Broadway credits include Conversations with My Father, Cymbeline and Old Acquaintances. One of her most acclaimed performances was in Hartford Stage’s production of A Shayna Maidel, which transferred to rave reviews Off-Broadway in New York. She won the Obie and Theatre World awards for the role. On television, she played Jadwiga on the “Whoopi” series. Actor, director and 2004 American Theatre Hall of Fame inductee Brian Murray’s many Broadway credits include three Tony Award-nominated performances: Rosencrantz and Guildenstern Are Dead in 1968, The Little Foxes in 1997, and The Crucible in 2002. He appeared at Westport Country Playhouse in The House of Blue Leaves and a Script in Hand play reading of Angel Street. Mia Dillon, nominated for the 1982 Tony Award for Best Featured Actress in a Play for Crimes of the Heart, also appeared on Broadway in Da, Hay Fever, The Miser, Our Town, and Agnes of God. At Westport Country Playhouse, she appeared in Once a Catholic, Return Engagements, Speed- the-Plow, Angel Street, Our Town; and Script in Hand playreadings of A Song at Twilight, Angel Street, Morning’s at Seven. Nicholas Carrière most recently toured nationally in The Lion King. He was also in the American Premiere of Zorro and the World Premiere of Abigail/1702. The design team includes Alexander Dodge, scenic design (Westport Country Playhouse’s The Circle – Connecticut Critics Circle Award; Broadway’s A Gentleman’s Guide to Love and Murder – Connecticut Critics Circle and Craig Noel Awards); Fabio Toblini, costume design (Broadway’s Romeo and Juliet; awards include Connecticut Critics Circle Award 2012); Matthew Richards, lighting design (Westport Country Playhouse’s Loot, Tartuffe, Suddenly Last Summer, Dinner with Friends; Broadway’s Ann); and John Gromada, original music and sound design (Westport Country Playhouse’s Harbor, Twelfth Night, Beyond Therapy; more than 30 Broadway productions including The Trip to Bountiful, as well as the Lifetime movie adaptation). Now available are 2014 5-play and 4-play subscriptions, including online purchasing capability 24/7. Subscribers receive a host of benefits not afforded to single ticket buyers, including significant savings, priority seating, free and easy ticket exchanges, and restaurant discounts. Flex passes are also now available for those seeking a more flexible subscription option. Single tickets start at $30. A Song at Twilight performance schedule is Tuesday at 8 p.m., Wednesday at 2 and 8 p.m., Thursday and Friday at 8 p.m., Saturday at 3 and 8 p.m. and Sunday at 3 p.m. Special series feature Taste of Tuesday, Previews, LGBT Night OUT, Opening Night, Sunday Symposium, Open Captions, Thursday TalkBack, Together at the Table Family Dinner, Playhouse Young Professionals, and Backstage Pass. For more information, call the box office at (203) 227-4177, or toll-free at 1-888-927-7529, or visit Westport Country Playhouse, 25 Powers Court, off Route 1, Westport. Tickets are available online 24/7 at www.westportplayhouse.org, or by using the new Playhouse App or mobile website. Stay connected to the Playhouse on Facebook (Westport Country Playhouse), follow on Twitter (@WCPlayhouse), or view Playhouse videos on YouTube (WestportPlayhouse). 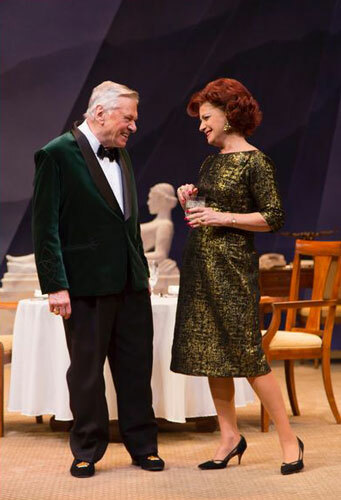 Westport Country Playhouse, named Theater Company of the Year by The Wall Street Journal, is a nationally recognized, not-for-profit, professional theater under the artistic direction of Mark Lamos and management leadership of Michael Ross. The Playhouse creates five live theater experiences, produced at the highest level, from April through October. Its vital mix of works—dramatic, comedic, occasionally exploratory and unusual—expands the audience’s sense of what theater can be. The depth and scope of its productions display the foremost theatrical literature from the past—recent as well as distant—in addition to musicals and premieres of new plays. During the summer, the Playhouse is home to the Woodward Internship Program, renowned for the training of aspiring theater professionals. Winter at the Playhouse, from November through March, offers events outside of the main season—Family Festivities presentations and Script in Hand play readings. In addition, businesses and organizations are encouraged to rent the handsome facility for their meetings, receptions and fundraisers. As an historic venue, Westport Country Playhouse has had many different lives leading up to the present. Originally built in 1835 as a tannery manufacturing hatters’ leathers, it became a steam- powered cider mill in 1880, later to be abandoned in the 1920s. Splendidly transformed into a theater in 1931, it initially served as a try-out house for Broadway transfers, evolving into an established stop on the New England straw hat circuit of summer stock theaters through the end of the 20th century. Following a multi-million dollar renovation completed in 2005, the Playhouse became a state-of-the-art producing theater, preserving its original charm and character. Today, the not-for-profit Westport Country Playhouse serves as a cultural resource for patrons, artists and students and is a treasure for the State of Connecticut. There are no boundaries to the creative thinking for future seasons or the kinds of audiences and excitement for theater that Westport Country Playhouse can build. This entry was posted on May 4, 2014 by Lia Chang in Entertainment, Theater and tagged A SONG AT TWILIGHT, Backstage Pass with Lia Chang, Brian Murray, Gordana Rashovich, Hartford Stage, Lia Chang, Mark Lamos, Mia Dillon.